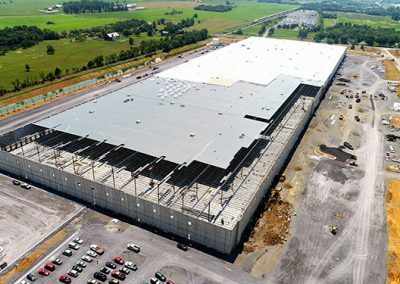 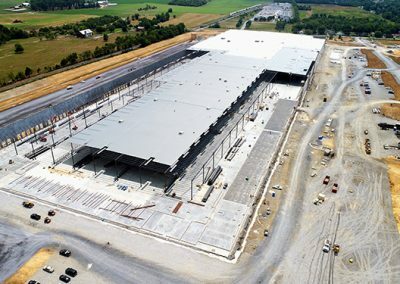 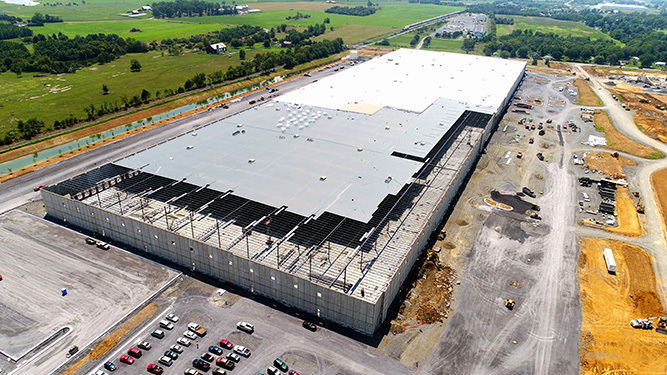 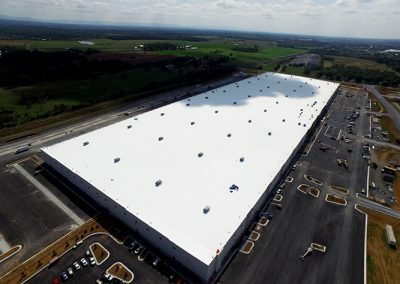 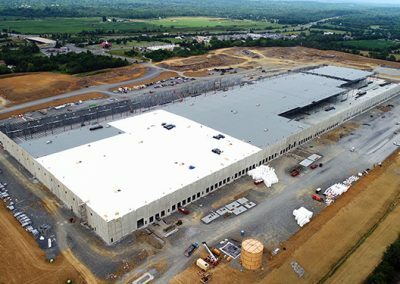 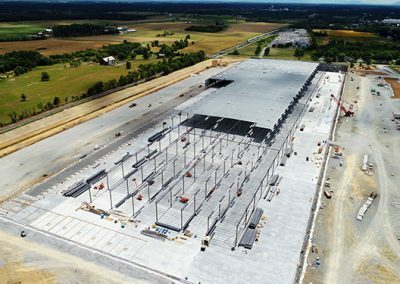 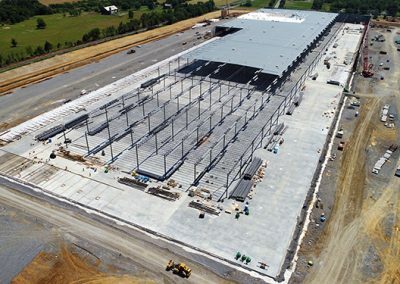 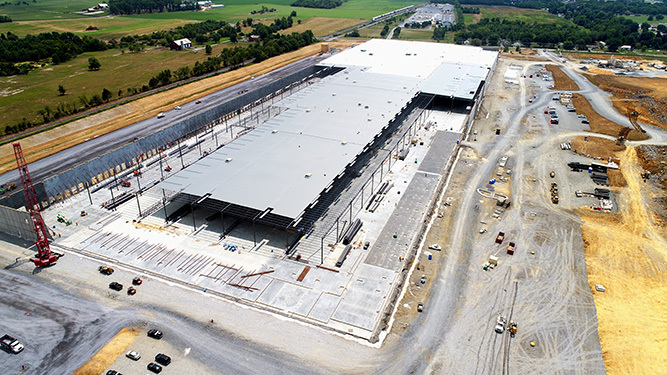 In 2017 Amazon decided to move forward with building a new Distribution Center in Clear Brook, VA. 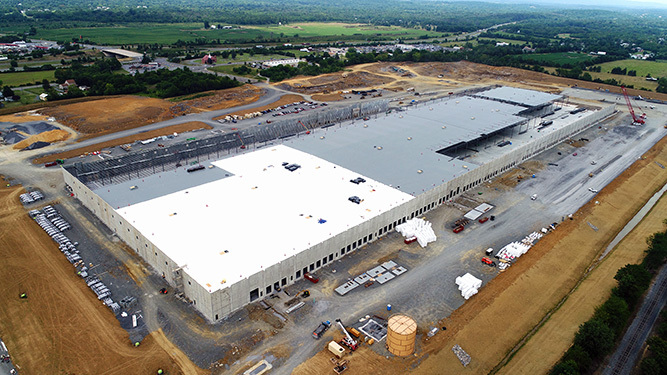 The new DC was slated to be approximately 1,000,000 sqft, with a targeted operational date of December, 2017. 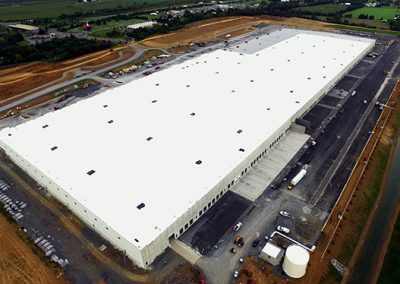 This new shipping hub was designed to have a structurally sloped steel deck with mechanically attached TPO membrane atop polyiso insulation. 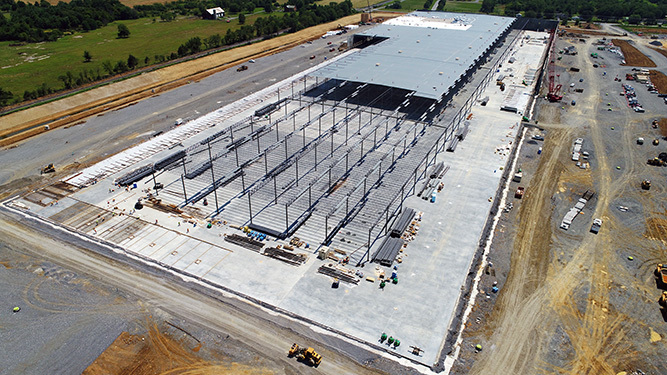 Raymond Engineering was brought on to provide quality assurance inspections. 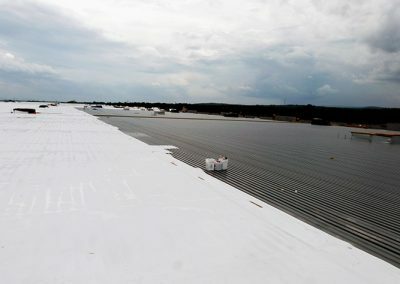 Our inspections ascertained whether manufacturer and industry standards were being met and if the contractor was in compliance with construction documentation. 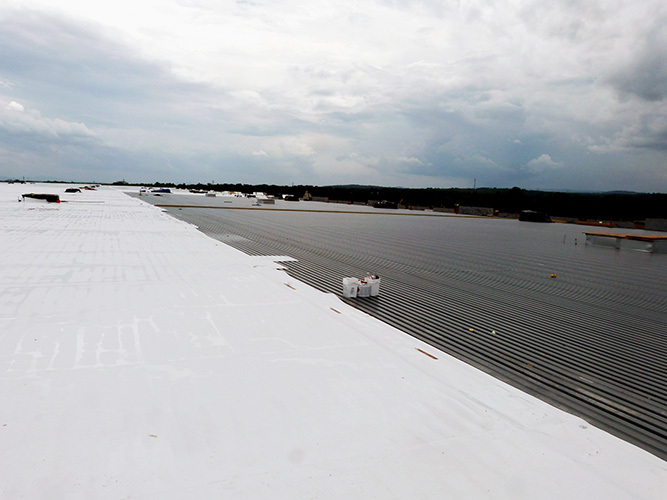 Namely, we confirmed that correct materials were being used, reported on progress, and identified any workmanship or detailing deficiencies. 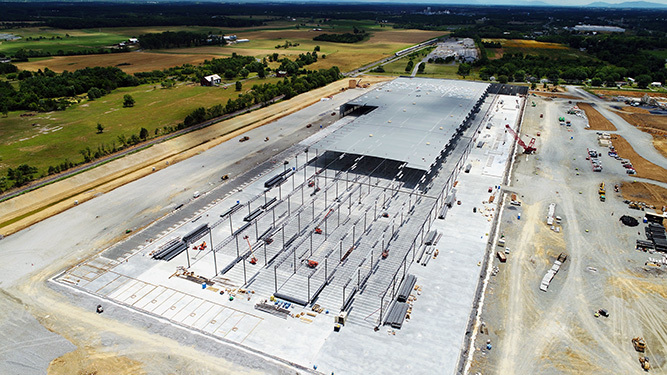 To aid in visual inspections, Raymond Engineering used drone aerial photography to track work progress between inspections and allow for client viewing from a unique vantage. 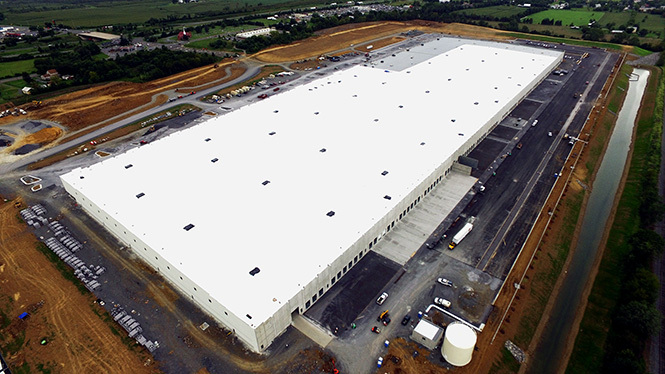 Upon substantial completion, our team performed a punch list inspection of the completed work and provided a list of deficient items to the appropriate parties for resolution. Raymond Engineering made a final return trip upon reported completion of punch list items to verify. 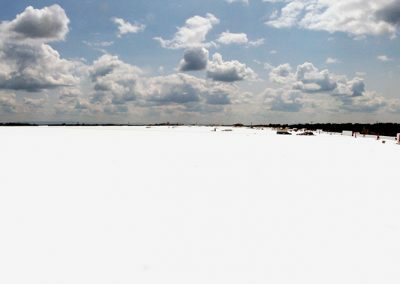 Sign up for bidding opportunities and notifications! 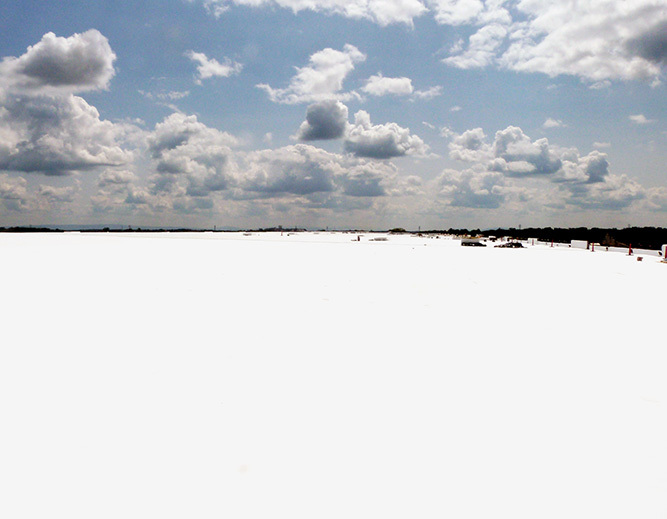 You will receive a confirmation email - make sure to look in your junk/spam mailbox.